Millie D's Words: Summer Giveaway Hop! Huzzah! It's summer! 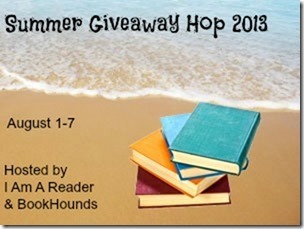 And I'm so glad to be a part of this year's Summer Giveaway Hop! Enter in the rafflecopter below for a chance to win an ARC of Light by Michael Grant! US only! Have fun! And may the odds be ever in your favor! I have yet to read Shadow and Bone, though I'm really excited for it! I've had a copy since it came out and I'm actually hoping to read it during the Beat the Heat Readathon. Very excited! A friend is sending me Shadow and Bone, so I will catch up right away! Very excited to read all. I havent read the books,yet.. they are in my reading pile that i have waiting on me. Ill be getting to them eventually!!! Thanks for the giveaway! As for Siege and Storm, I'm pretty much obsessed with The Grisha Trilogy, so I definitely had that sucker on pre-order. The Gones books are new to me. Thanks! I haven't read this series, but I'm definitely intrigued. I've added it to my TBR pile. THanks for the giveaway! I have not read the series, but it is on my wishlist. I think the premise is intriguing and would like to see how it plays out :) Thank you for participating in this fun hop. I have not read the Gone series, but it looks like something I should get started on. Thank you for joining the hop! I have read most of them but I stopped somewhere, I don't remember which one though. There's so many books in this series! I have not but will plan on it. I have the first book in the series but I have not started reading them though. I really need to. I had a friend tell me they were amazing. :) Thank you for the giveaway!